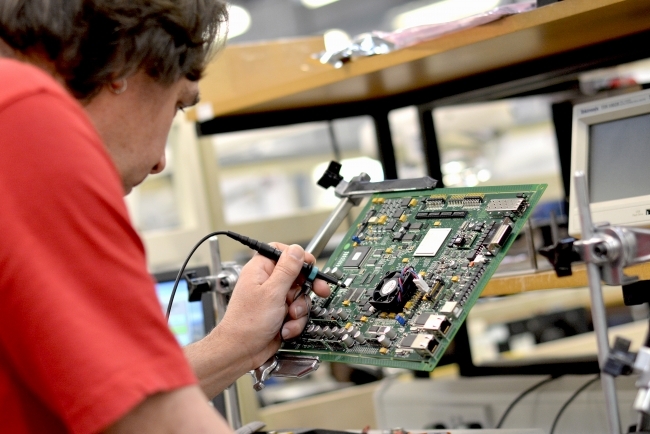 Component shortages: the best kept secret in Electronics Manufacturing right now? Neil Sharp from JJS Manufacturing looks at what could be the best kept secret in electronics manufacturing currently, a component shortage. So why isn’t anyone covering the component shortage issues that are impacting the electronics manufacturing world right now? Surely, it’s quite a big deal if some of the products we all rely on each and every day are delayed? Like smartphones, cars and all those ‘boring’ industrial electronic products and machines that keep the world moving along quietly in the background. Why the current component shortage crisis hasn’t hit the mainstream headlines yet I don’t know but what I do know is the situation is bad, really bad. As an example, a number of ‘bog standard’ components like chip capacitors that have been available from multiple distributors on a next day service in the past are now being quoted on 52-week lead-times. Our reliance on smartphones continues to grow with some of the latest models now packing in over 1000 chip capacitors each. When you consider it is estimated that global smartphone sales in 2018 will be around 1.9billion it’s not really a surprise the supply chain is struggling to keep up. The automotive sector has also ‘exploded’ in terms of its demand for electronics. Some of the latest vehicles are now demanding up to 10,000 capacitors which may come as a surprise at first but when you stop and think just how many features are packed into a modern car as standard it’s really not. Unfortunately, component manufacturers have been slow to invest in some older technologies (like chip capacitors) after relatively stable periods of growth and have now been well and truly caught out. As common value chip resistors and capacitors are integral to most printed circuit board assemblies (PCBAs), it’s hard to believe they are no longer readily available in significant quantities. And what once used to cost a tenth of a penny is already reaching double digits in some cases. 1 – Share your demand forecast as far out as possible so that your EMS provider can replicate your component demand with their supply chain partners. If you only give your EMS provider short-term visibility of your requirements, they might not be able to secure the level of stock you need when you place your next set of orders which will impact the overall lead-time back to you. 2 – Respond to price and lead-time issues quickly. Unfortunately, what little stock is currently out in the marketplace can go within minutes. If your EMS provider identifies a source of stock but needs you to agree up front to a short-term price increase or extended lead-time, you won’t have much time to make a decision. 3 – Ask your engineering team to suggest alternative components. Some OEMs are very good at listing alternative devices on their Bill of Materials (BOM) or separate Approved Vendors List (AVL) which makes it easy for EMS providers to explore all options when they hit a supply issue. Unfortunately, some OEMs keep this knowledge locked away which can mean acceptable alternatives are overlooked. A good EMS provider will always ask if there are alternative components approved but it’s still worth asking your engineering team to review your parts list to make sure every option (documented or not) can be explored in detail when allocation strikes. 4 – Make sure you keep your customers and your sales team up-to-date with what’s going on in the component market. If you or your EMS provider are unable to absorb the price increases often associated with allocation, you might need to pass them on yourself. Whilst price increases are usually unwelcome, explaining the reasoning behind them to your customer in plenty of time, can sometimes help soften the blow, or at least give them enough time to review all of their options. 5 – Avoid ‘heating up’ the market by placing artificial demands on your EMS provider. This is always the advice when demand outstrips supply but unfortunately, some OEMs ignore the message and continue to ‘panic buy’ which usually leads to a problem further down the line – i.e. they end up swimming in excess stock liabilities when the market bounces back which they then can’t cancel. 7 – Ask your EMS provider to re-validate their quotations, even if you have been buying the same product regularly. If you have a Service Level Agreement (SLA) in place with your EMS provider then pricing, delivery and stock liabilities should already be listed and reviewed on a monthly or quarterly basis. If, however, you place back-to-back orders against quoted lead-times then our advice is to get your EMS provider to re-quote prior to sending them an official order to make sure they can still meet your price and delivery expectations.